The doors to Basin Burger House opened in January of 2013 but the idea for a gourmet restaurant in Downtown Midland started long before that. The finished product, both in the building and on your plate, is something never done before in the Permian Basin. We start from scratch…with everything. Our burger patties are ground fresh daily using the finest and freshest ingredients to make the juiciest burger around. The smell of our freshly baked buns waft around the restaurant resembling a bakery in Europe. We don’t stop there, sauces and condiments are made from the pan up to compliment your burger and light up every taste bud in your mouth. Then we get to the french fries. These sliced-in-house beauties are fried to a crispy perfection leaving you with the ideal side-kick to your one of a kind burger. This isn’t just a burger, it’s a Basin Burger. In March of 2016 the restaurant took another step forward by offering breakfast service. Midland had been starved for a great downtown breakfast joint and Basin Burger House was happy to jump in and fill the void with fluffy pancakes, crisp bacon, and the best cup-of-Joe in town! When you have a minute to step back from the deliciousness on your plate you’ll realize the history of the Permian Basin is all around you. Pictures from the Midland/Odessa area cover the walls to give a history of this oil-rich part of West Texas. 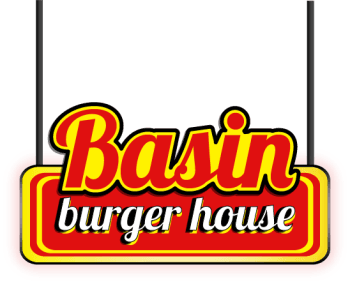 Basin Burger House isn’t just another restaurant in town. It’s an experience from the environment, to the food, to the decorations on the walls. This is uniquely Midland, this is uniquely West Texas, and most importantly this is uniquely Basin Burger House. We also offer entertainment throughout the week so make sure you keep a close eye on the events tab to check out the latest and greatest from the Permian Basin’s premier burger joint. We can’t wait to see you!